This post wraps it all up, folks. 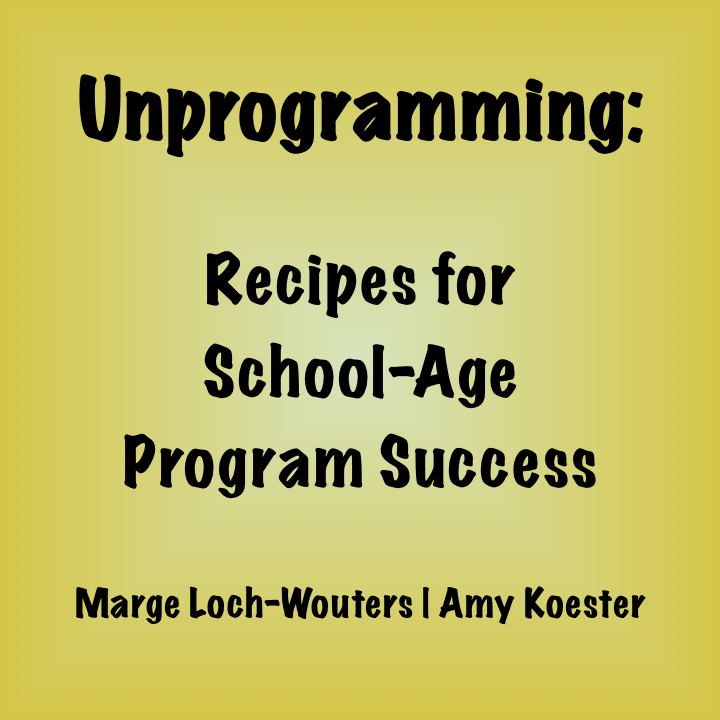 Over the last week, Marge Loch-Wouters and I have recapped our conversation starter from the 2013 ALA Annual Conference, and we hope that you've harvested some new unprogramming ideas and strategies along the way. The only things left for me to share are our presentation slides and the master list of recap posts. I also want to say thanks to Marge before this post wraps up; I couldn't have asked for a wiser, more insightful, or more humorous co-presenter. But this isn't really the end. The conversation about unprogramming isn't over. 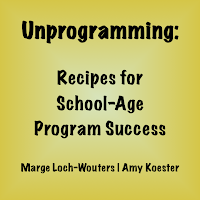 We hope you'll engage in the conversation on blogs, at conferences, and on Twitter using the hashtag #unprogramming. There are so many possibilities for unprogramming, and we cannot wait to see how you all make this strategy work for you. We'll chat. Part 2: What the Deuce Is It? Part 4: The Recipe Revealed! Part 5: Why It Works!